Have you ever been interested in starting a garden but felt too overwhelmed to do so? Perhaps you felt like you didn’t have the right knowledge, skills, or enough time to do so. Well, prepare to leave those excuses behind! 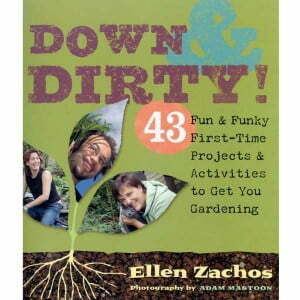 This book offers 43 different gardening projects and activities that are perfect for people who are just discovering their green thumbs. Ellen Zachos gives her readers plenty of ideas and suggestions for finding the right gardening technique for any individual, whether it be container gardening, or making the perfect garden space for your feline friend! And don’t forget to check out the kid-friendly recipes Ellen provides that will have your family and guests begging for more!